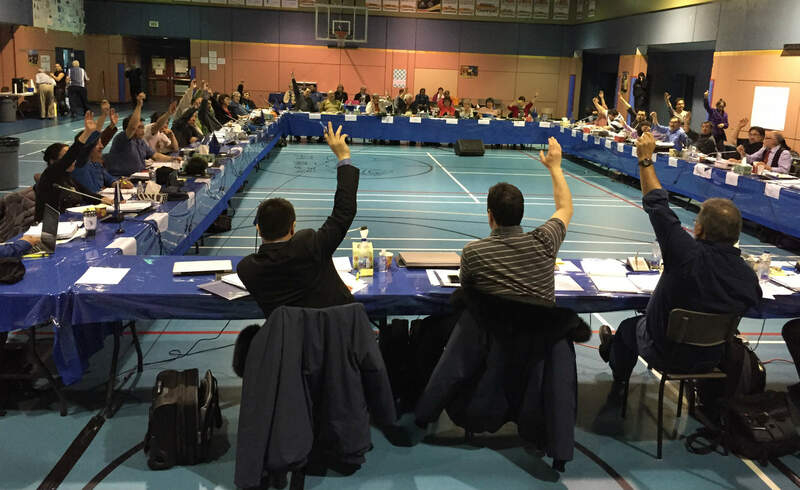 Kuujjuaq, Nunavik-March 27, 2015– The Annual General Meeting of Makivik Corporation has adopted the 2015 Nunavik Inuit Declaration: Proud, United, Determined, setting in motion the implementation of Parnasimautik. “With the adoption of this Declaration, we have clearly stated our commitment to protect our culture and language, improve our socio-economic situation and work towards a new governance structure”, stated Jobie Tukkiapik the President of Makivik Corporation. Parnasimautik is the result of two years of hard work at the regional and local levels. The consultations were an unprecedented exercise in regional and local mobilization and unity which forms a comprehensive vision of regional development. Already there are communities who have taken up the challenge and spirit of Parnasimautik and are mobilizing to address local issues. “Makivik Corporation, with the direct participation of the other members of Parnasimautilirijiit, comprised of the Nunavik Regional Board of Health and Social Services, the Kativik School Board, the Kativik Regional Government, the Nunavik Landholding Corporations Association, the Avataq Cultural Institute and the Nunavik Youth Association, will now develop an action plan and negotiate with governments at the highest levels to address our fundamental issues and priorities. I am confident that together we will make significant progress,” continued the President. Button to download a .PDF file of The Nunavik Inuit Declaration.